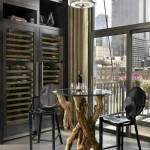 Here are some of our favorite refrigerators from a design aspect. 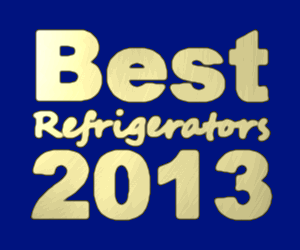 The trend in bottom freezers for 2013 is unique finishes. These finishes tend to be enamel or custom panel. 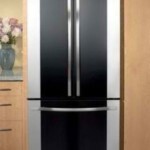 Plain black and white refrigerators aren’t as popular this year. 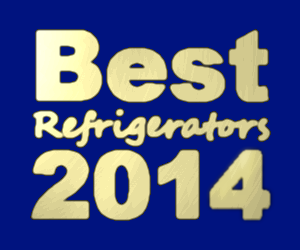 Bottom freezer style refrigerators are just as popular as French Door ones in 2013. This wasn’t the case in 2011 or 2012. 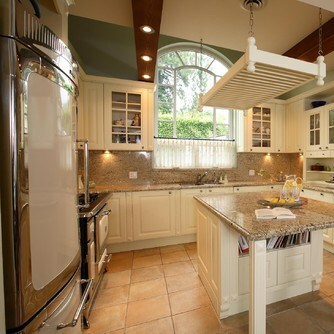 It is good news for homeowners who have smaller kitchens or just don’t have as much money to spend. 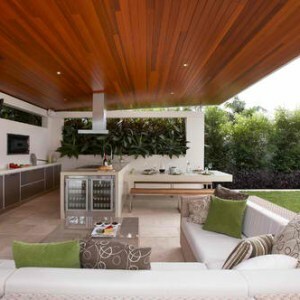 From a design standpoint there are some very exciting options that will integrate with the popular themes for 2013. 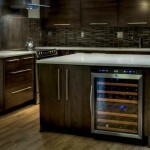 From a pure design standpoint this Sub-Zero over-and-under style with flush installation is one of the trendiest. However, with an MSRP of $9175-$10285 it just isn’t practical for most families to buy. The overlay style (BI-36UG/O) is the cheaper and the classic stainless (BI-36UG/S) is the more expensive one. This has crisper and deli drawers. However, the glass door design presents some unique challenges. You will mostly find this fridge stocked as it is here with lots of fruit and matching water or soda bottles. Also note that you don’t have all of the storage for mayo and butter in the door like you would with a traditional solid door. 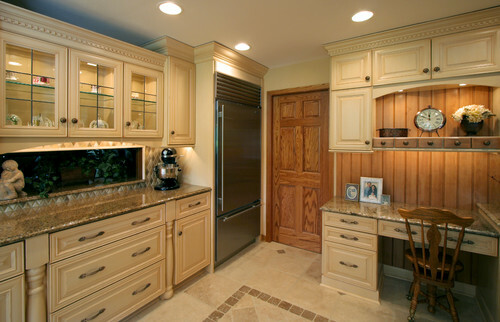 With all of its downsides, this is one model that will match virtually any kind of theme or cabinetry color. Counter depth appliances are popular in 2013. 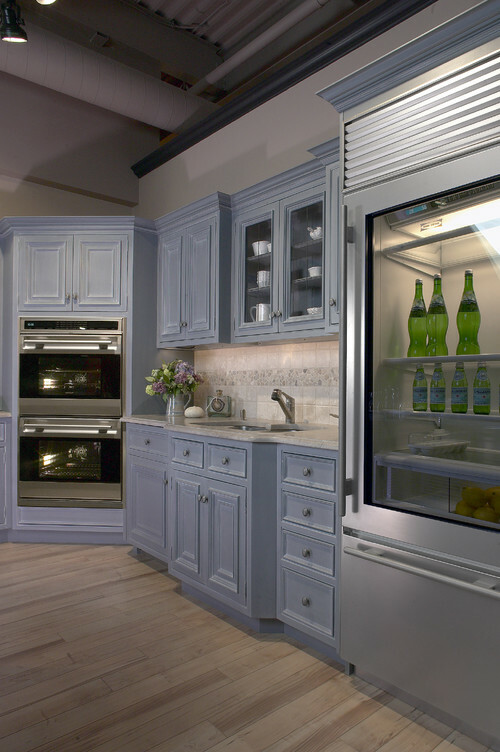 Built-in styles are typically a lot trendier than freestanding pieces but you have both options with this refrigerator. It comes in an EZKleen stainless steel finish. Many similar styles will show a bottom freezer door but this exact model number has a full extension bottom freezer drawer. The flat front makes it ideal for any kind of modern or industrial design. The designer doesn’t state whether this is the CS1311 or the CS1360. The overall concept is for a small apartment with a slimline handle. The design of this is remarkable because of the different ways you can use this. 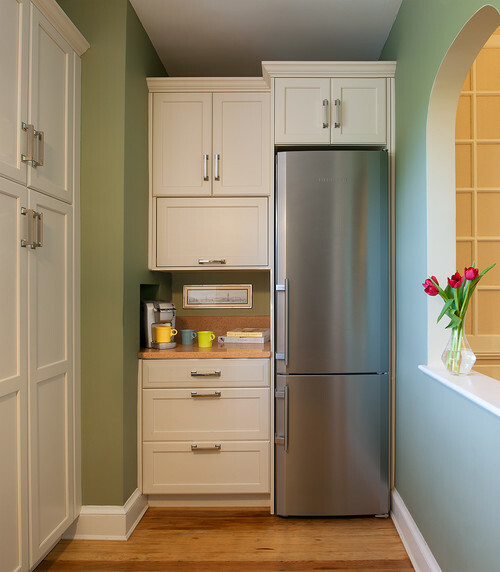 In 2013 the idea of a butler’s pantry is becoming popular again, either for a second fridge or a first one. These spaces are smaller and so will need more compact appliances. Unlike the other bottom freezers this one has a second door instead of a freezer drawer. This one makes the list for sheer versatility. 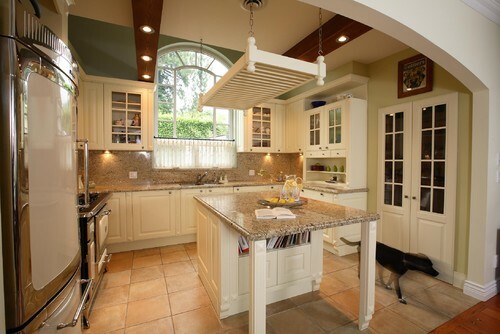 It has been used in modern kitchens, Tuscan designs, and even classic white kitchens. The overlay style is BI-30U/O and has an MSRP of $7480. The classic stainless style has an MSRP of $9250 with the model number BI-30U/S. While this is a big purchase, if you want the Sub-Zero brand it’s at the bottom end of the price range really. Heartland is a brand that really typifies the most popular style of 2013 which is the farmhouse look. The bottom freezer configuration is still convenient and modern though. The finish is enamel which is popular on all kitchen items, even cookware. Note that it’s nickel trim so it might not match other stainless steel appliances exactly. The designer never states what the fridge model is, but the HCBMR19L from the Classic line is close if not the exact model pictured. 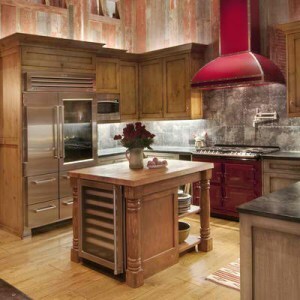 Vintage style stoves from Heartland are popular this year but getting a matching refrigerator isn’t always that easy. There are some modern conveniences like humidity crispers and pull out freezer basics.